The weight drive on the left is all original. On the right is the restored version. You can see both in operation here http://youtu.be/UbDR3p7mtTA . 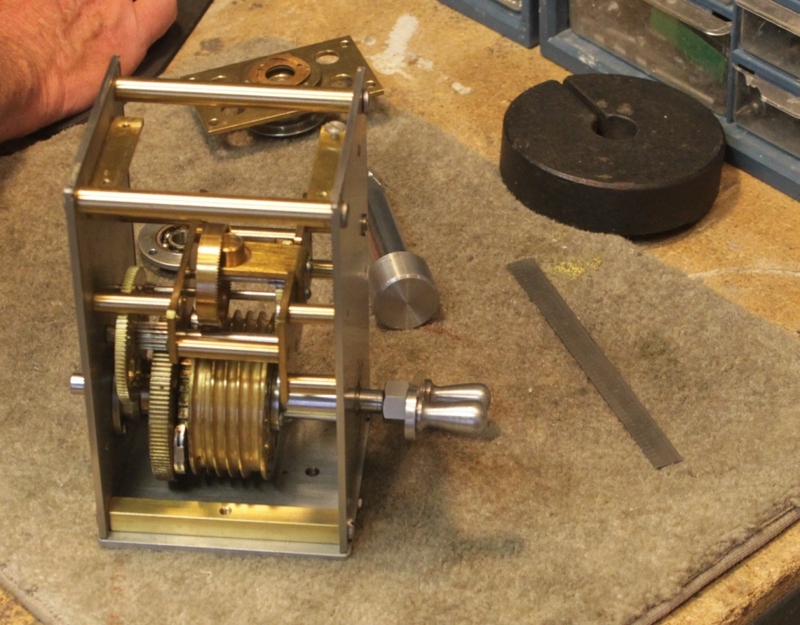 Here is a slideshow demonstrating the mechanics of the ball governor. Notice that there is a small “plate” that rises too meet three small friction fingers above as the balls move out with increasing speed. You can control the vertical position of the fingers with the knob on top and thereby regulate the speed where those fingers engage the plate. As you can see the restoration up to this point is not yet complete because there is no mechanism to transmit the motion to the telescope. 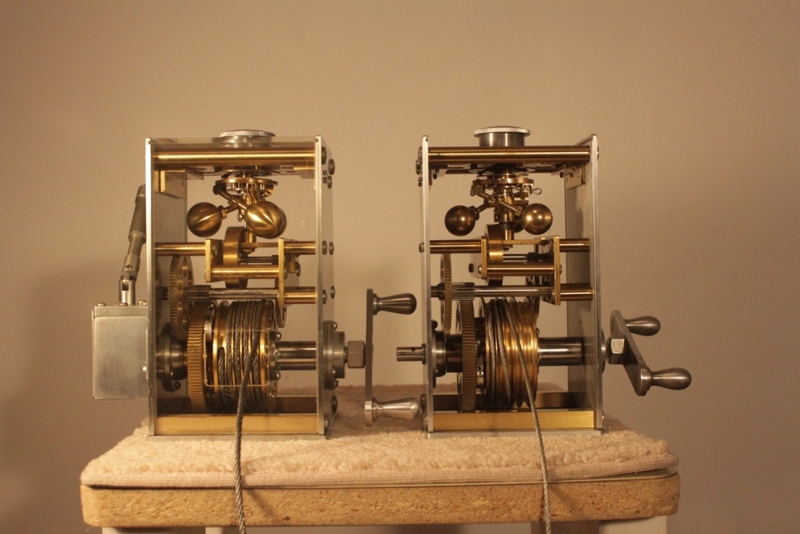 To see the completed system in operation please see my page on replicating the Gear Boxes .